file photo of the 2013 shanty town. Orange Congregational Church Pilgrim Fellowship Sr. Youth Group is hosting its annual fundraiser for Youth United of Habitat for Humanity of Coastal Fairfield County on Jan 22-23, 2016, starting at 6 p.m. Friday through 8 a.m. on Saturday morning. They are doing a “Freeze Out” which entails a Shanty Town of cardboard boxes outside in front of the church. They’re hoping to have at least 15 teenagers and five adults to rotate the experience of living outside on a cold January night. The purpose is to raise awareness about what Habitat for Humanity does while raising funds to build our 5th Youth United sponsored house in Bridgeport CT. They hope to raise at least $2,000 at this event. Any contributions are welcome and checks can be made out to: Habitat of Humanity of CFC/YU. Or just drive by and honk your horn to show your support! For more information about the “Freeze-Out” or Youth United, please contact Beth Rafferty at the Orange Congregational Church at 203-795-9749. The Orange Congregational Church Pilgrim Fellowship Sr. 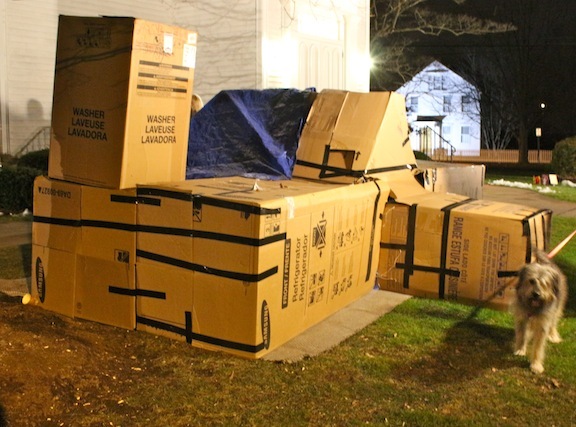 Youth Group built a shanty town of cardboard boxes and took turns sleeping inside it from 6 p.m. on Saturday until 9 a.m.
At least 20 kids participated in the “Freeze Out” in front of the Church to benefit Habitat for Humanity of Coastal Fairfield County, Youth United. Each one raised $35 in sponsorships to stay in the dwelling for a two-hour shift. The event will help raise awareness about Homelessness, Habitat for Humanity, and their impact on the community. 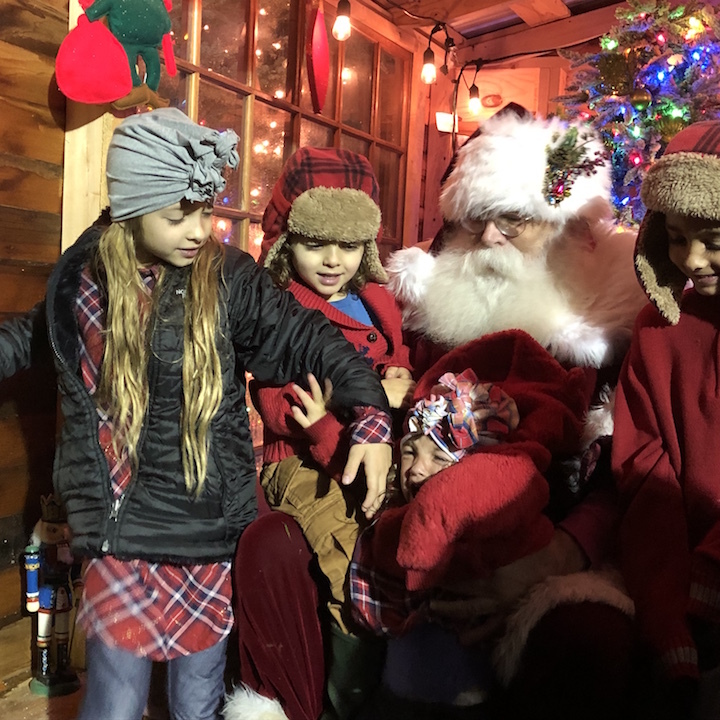 The goal of the Freeze Out is to raise at least $2,500 and the funds donated will be used to help build another Youth United house in Fairfield County. After completing a residence on Jane Street in Bridgeport, the group is anxious to start the third Youth United Habitat home. Early in the evening Orange DARE Officer John Aquino stopped by to talk to the kids, and later everyone took a place on the floor and worked together to build heavy duty bird feeders to sell and raise more funds for Habitat. By 9 p.m. the group had reached its monetary goal, according to Youth Leader Beth Rafferty. To learn more about Habitat for Humanity visit http://blog.habitatcfc.org. Contributions are welcome and checks can be made out to ‘Habitat for Humanity of CFC/YU’ and mailed or hand delivered to Orange Congregational Church, 205 Meeting House Lane, Orange, CT 06477.